The pond has gone all green and bubbly looking. What’s going on down there? I hope the bubbles are oxygen, otherwise the animals I introduced the other day might asphyxiate. Perhaps not though, it does look fizzy on the surface. Hope it clears itself soon. 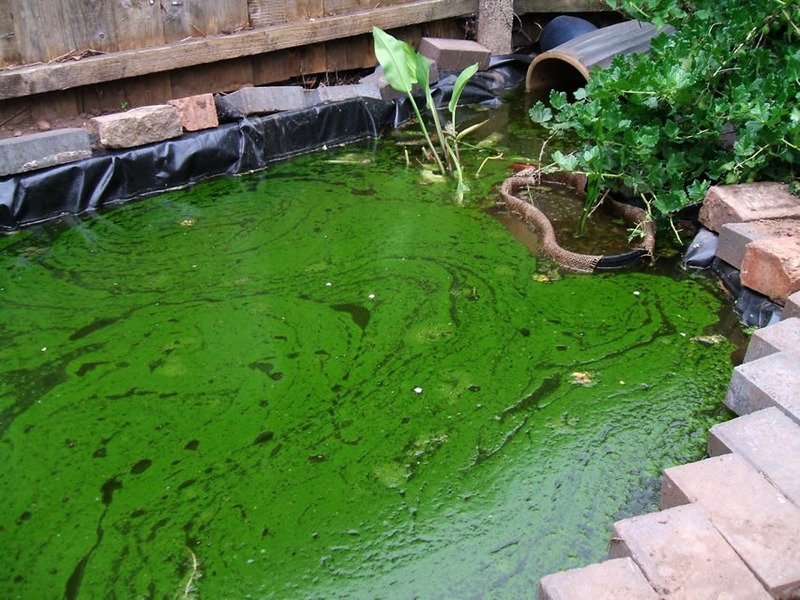 This entry was posted in Garden, Home, Thinking and tagged Algae, Algal bloom, Gardens. Bookmark the permalink.